I met Eugenio Tisselli in Edinburgh at the Remediating the Social conference in November 2012. Eugenio gave a presentation on the project Sauti ya wakulima, “The voice of the farmers”: A collaborative knowledge base created by farmers from the Chambezi region of the Bagamoyo District in Tanzania, and “by gathering audiovisual evidence of their practices they use smartphones to publish images and voice recordings on the Internet”, documenting and sharing their daily practices. I was struck by his sensitivity to the social contexts and political questions around this type of project engagement. This interview explores the challenges we all face in connecting to a deeper understanding of what technology can succeed in doing beyond the usual hype of the ‘New’ and its entwined consumerist diversions. Not only does the conversation highlight how communities can work together in collaborating with technology on their own terms. But, it also discusses the artists’ role in the age of climate change and the economic crisis, locally and globally. Marc Garrett: Can you explain how and why the Sauti ya wakulima, “The voice of the farmers” project came about? Eugenio Tisselli: Sauti ya wakulima is the fruit of my collaboration in the megafone project, started in 2004 by Catalan artist Antoni Abad. During six years, we worked with different groups at risk of social exclusion, such as disabled people, immigrants or refugees. The idea was to provide these groups with the tools to make their voices heard: smartphones with a special application that made it easy to capture images, sound recordings or short videos, and a web page where these contents could be directly uploaded. Using these tools, the participants of each project were able to create a collaborative, online “community memory”, in which they could include whatever they considered to be relevant. Although megafone was relatively successful and, in some cases, made a positive impact on the people who participated, I was worried that the project was becoming too dispersive. We worked in six countries, with extremely different groups. So, in 2011, I decided to follow my own path and apply a similar methodology into more focused projects, related with sustainable agriculture and environmental issues. I realized that the projects which sought to increase the empowerment of a community could become too complex for a single artist to handle. That’s why, in Sauti ya wakulima, I’m not “the artist”, but a member of a transdisciplinary team which includes biologists, agricultural scientists and technicians. Such a team came together after my PhD advisor Angelika Hilbeck, my colleague Juanita Sclaepfer-Miller and myself came across the possibility of working with farmers in Tanzania. The network formed by local researchers, farmers and ourselves was quickly formed, so we started the project on March, 2011. MG: I find it interesting that you made the decision to put the role of artist aside. This reminds me of a discussion in Suzi Gablik’s book published in 1995 ‘Conversations before the end of time’; where James Hillman in an interview talks about learning to refocus our attention from ourselves and onto the world. Further into the conversation Gablik says “In our culture, the notion of art being a service to anything is an anathema. Service has been totally deleted from our view point. Aesthetics doesn’t serve anything but itself and its own ends”. So, I have two questions here. The first is how important was it for you to put aside your status as an ‘artist’, and what difference did it make? And, where do you think you and others may fit when considering the discussion between Gablik and Hillman? ET: It is important for me to make it clear that I didn’t abandon my role as an artist. Instead, I fully assumed my status, but only as a member of a transdisciplinary team. I believe that this may be a point of departure from the classical view of the artist as a “lone genius”, which is closely related to the discussion about service in art. So I’ll try to interweave both questions together. In a recent publication, Pablo Helguera aimed to set a curriculum for socially engaged art. He identified the new set of skills to be acquired by the artists, and the issues they must address when dealing with social interaction. But, as Helguera suggests, perhaps what’s most important is to overcome the “prevailing cult of the individual artist”, which becomes problematic for those whose goal is “to work with others, generally in collaborative projects with democratic ideals.”  To me, this implies that the artist must give up control of the work to a certain degree. I find myself in this scenario, and I think of my role in Sauti ya wakulima as that of an instigator and coordinator. Furthermore, all of us involved in Sauti ya wakulima aim to effect actual changes in the lives of the participating farmers, rather than obtaining purely symbolic results. Our project is a socially engaged artwork that wants to be useful, to deliver a service. We are living in urgent times, beyond any doubt. Looming global challenges, such as climate change, radically cancel the luxury of being useless, of not doing anything. This includes the artist who, as any other citizen, is called to use his or her abilities to help in preventing a catastrophe. I especially like Franco “Bifo” Berardi’s proposal about the new task that the artist might assume: that of reconstructing the conditions for social solidarity. This work of reconstruction would oppose competition, a value often found in the markets that deal with self-referential, self-serving artworks. Solidarity, writes Berardi, is neither an ethical nor a political program, but a pure aesthetic pleasure . In my opinion, the artists who still embrace the idea that art should only serve its own ends will become those who play the lyre while our world burns. 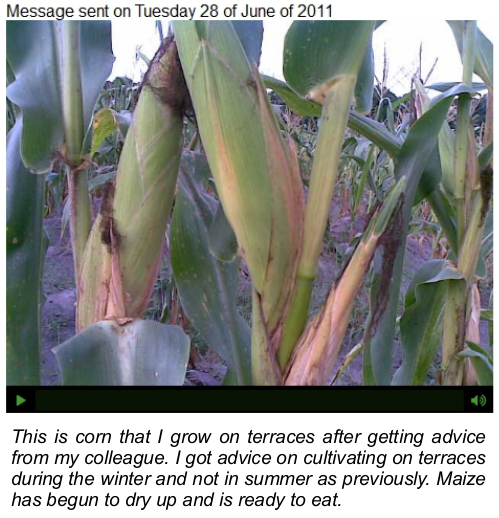 MG: What kind of behaviours began to emerge once the farmers took control of the smartphones supplied? ET: It was quite interesting to see that the farmers started to use the phones for purposes which were different from those that we had originally proposed. This happened very soon after the project started. 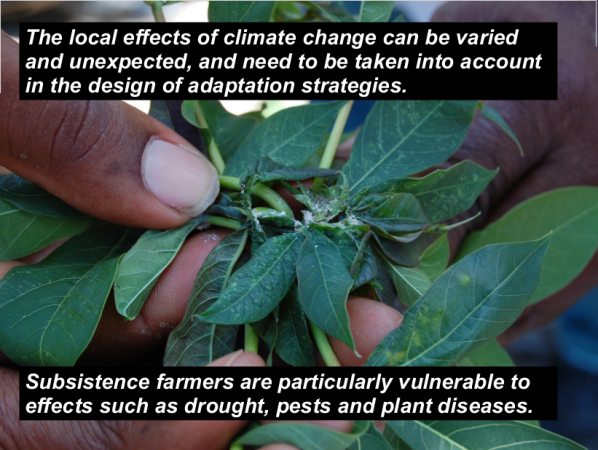 Only one month had passed, and the farmers had already started to go beyond merely documenting the effects of climate change. They interviewed other farmers, and asked them all sorts of questions about their crops and agricultural techniques, their opinions and views. In short, they slowly laid out a web of mutual learning. This was a real eye-opener for us. 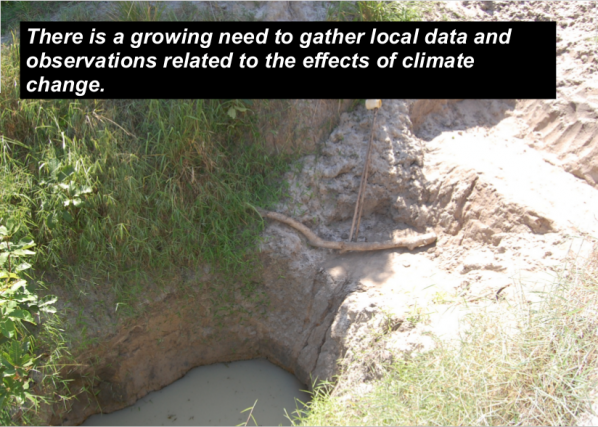 As we began to observe this, the environmental researchers in the team became worried that the farmers were deviating from the goals that we had set. I wanted to leave room for this deviation, as I was particularly interested in studying the process of technological appropriation. So I had to convince the researchers that we should leave enough room for the farmers to freely explore the potentials of the smartphones. It was not easy but, in the end, negotiating the tensions between a goal-oriented and an open-ended research turned out to be quite fruitful. 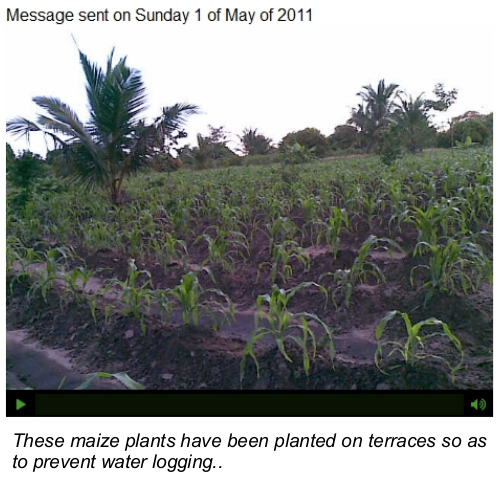 On one hand, the farmers found that they could shape the project to fit their interests which, as they said, were to “learn about what other farmers in remote areas were doing.” On the other, the researchers finally realized that the images and voice narrations posted by the farmers were an invaluable source of information about what was actually going on in the farms and within the communities. Sometimes, agricultural initiatives may be designed with an insufficient understanding of the social context in which they are applied. By allowing the farmers to publish a wide range of topics, Sauti ya wakulima became a “community memory” that reveals rich details about farming and the social life of rural communities in Bagamoyo. MG: In your presentation at Remediating the Social, I remember a quote from one of the farmers saying “The project helped me learn that phones can be used for other things besides calling people, and that computers can also be used to solve problems: they are not just a fancy thing for the rich people in towns.” What’s interesting here is, these words could be said any where. And that our consumer orientated culture could still learn a few things regarding uses of technology. What lessons can the farmers teach ‘us’ in a culture where computers are part of the everyday life? ET: I have interpreted this particular quote in two different ways. The first, most obvious one, is that the farmers discovered that the smartphones and the web can be useful tools, which may be shaped and adapted to meet their needs. 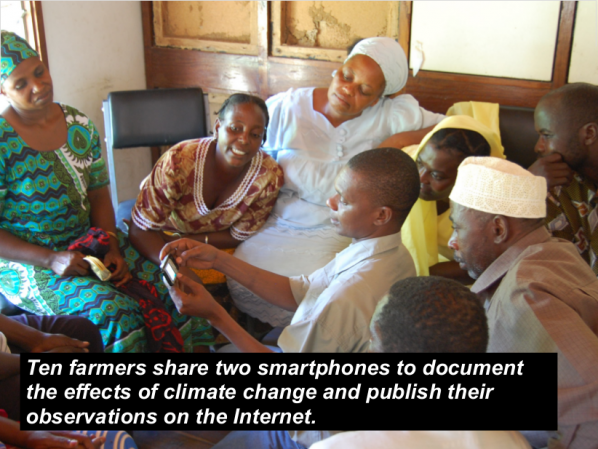 For many of them, Sauti ya wakulima was their first chance at trying out these technologies. And, happily, the project showed us all that they can become an important ingredient in making farmers’ lives a little better. However, my second interpretation is not as optimistic: in the quote, there is an explicit comparison between the (poor) farmers living in remote areas and “the rich people in towns.” Moreover, the fact that smartphones are explicitly considered as fancy devices points towards issues which need to be handled very carefully. In every part of the world, technological gadgets are quickly becoming symbols of social status. Currently, I am working in a rural zone in southern Mexico where cellphone coverage was nonexistent only two years ago. But as soon as the first antennas were installed, young people in those communities started buying smartphones, and now there is an open competition to see who has the fanciest one. A similar thing happens in Bagamoyo. So, of course, smartphones can be useful tools, but they can also bring more consumerism into poor communities. This is very dangerous. I’d like to stress that, in our project, the smartphones are used as shared tools. This means that there is a limited number of devices available, and everyone must have a chance to use them at least once. I believe that this is a small but significant contribution towards diluting the extreme individualism and consumerism that are closely linked to these technologies. The farmers I have met in Bagamoyo have a very strong sense of community. Although their farms can be very far apart, sometimes with no roads between them, they still get together very often. They work together, learn together, have fun together. That’s the biggest lesson I’ve learned: we need each other’s presence. Quoting “Bifo” again, we are living in a time of precarization of the encounter of bodies in physical space. I agree with him that the most important poetic revolution has to be the re-activation of bodies. The farmers, with the great efforts they make to get together, and the great joy they find in doing so, have taught me a great deal: I need to get out of Facebook and step in to the “here and now”, together with others. MG: What has this experience taught you. And how will it impact your future practice as an artist? ET: I have partially replied to the first part of this question. But besides learning how to re-dimension the importance of computers in my life, I have also learnt a lot about agriculture. This is not a minor thing for me: after all these years of living in big cities, and realizing that I lack a basic connection to the earth, I believe I have found the best possible teachers. Of course, I’ve also learnt a lot about how to work with non-expert users of technology. This has made me better as a teacher. And, as you can imagine, many of the things we take for granted at home won’t necessarily work in Bagamoyo. So, doing projects in difficult environments has taught me to adapt, and to transform things that escape my control into opportunities. All of this changes me, not only as an artist but as a human being. My artistic practice is already quite different from what it was before Sauti ya wakulima. I have adopted a very critical position towards technology. Now, this is also a major shift: I started programming creatively when I was ten years old, and have been a media artist almost since then. But I feel I can’t go on with those artistic explorations, knowing what I know now. Consequently, last year I wrote and published a small note explaining why I stopped creating works of e-Literature, a field in which I was involved for more than ten years . That was both a closure and a point of departure. Let’s see what the future brings. I took the book with me. Those involved in the Sauti ya wakulima / The voice of the farmers project. Suzi Gablik. Conversations Before the End of Time. Thames & Hudson. 1995. p 196. Pablo Helguera. Education for Socially Engaged Art. Jorge Pinto Books, New York. 2011. p 4. Franco “Bifo” Berardi. Perché gli artisti? MACAO è la risposta. Sinistrainrete.